Tender, warmly spiced apples are usually wrapped up in a flaky free-form pie crust. That’s an easy sell, but not always such an easy endeavor if you have to peel and slice the apples with a knife. 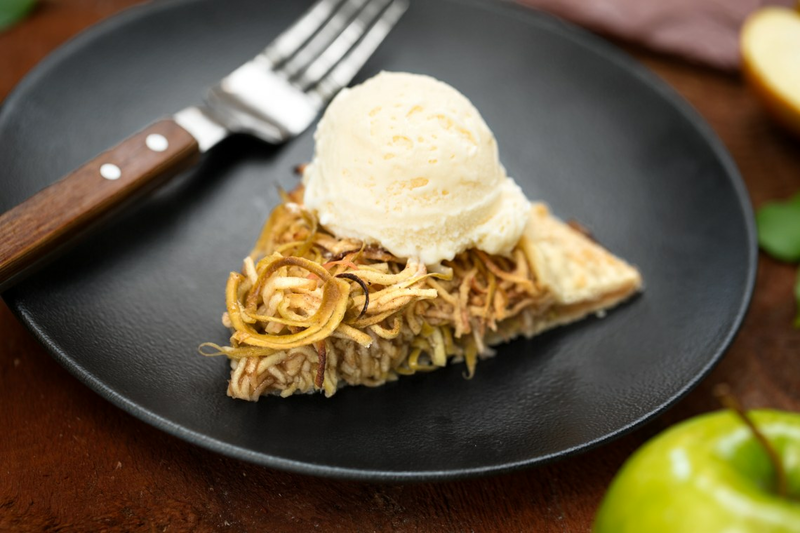 Power through that pile of apples and spiralize them in lieu of chopping by hand, and you’ll have a show-stopping dessert hot out of the oven in no time at all. Depending on the size of your apples, the cores might get stuck in the spiralizer as you approach the center. If you're struggling to push them through, pause to clean it out, and flip the fruit around to start from the opposite side. Ice cream is optional as a pairing, but highly recommended! Per Serving: 246 calories; 8g fat; 44.3g carbohydrates; 2g protein; 0mg cholesterol; 124mg sodium. I really wanted mine to look like the picture here. It didn't. 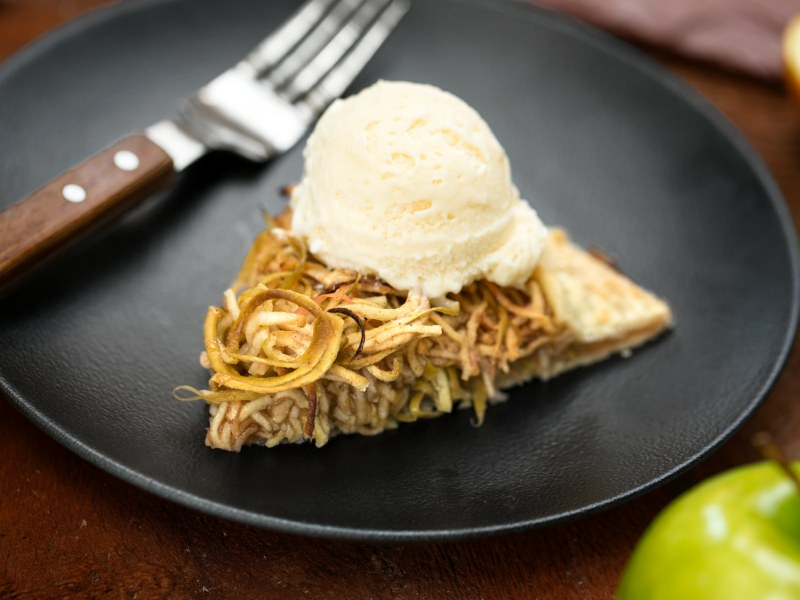 That is not necessarily the fault of the recipe, but in my head, the spiralized apple would provide some texture. I tend to prefer crumble to pie specifically for that added texture with apples that usually are fairly mushy after baking. I may tinker with the time/temp to get the crust browned while keeping some texture in the apples because then this would be PERFECT! 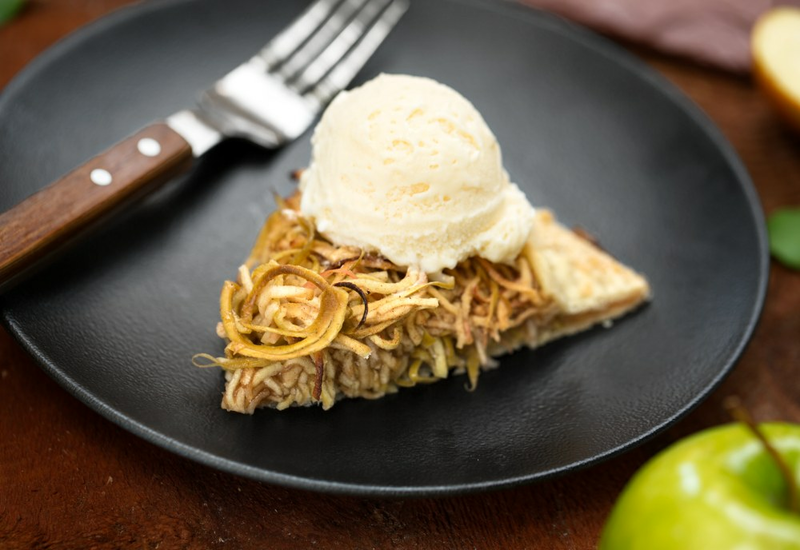 I love using my spiralizer, and really love how the apples turned out in this recipe. The crust was also really nice and flaky. I am going to make this again on Christmas Day.